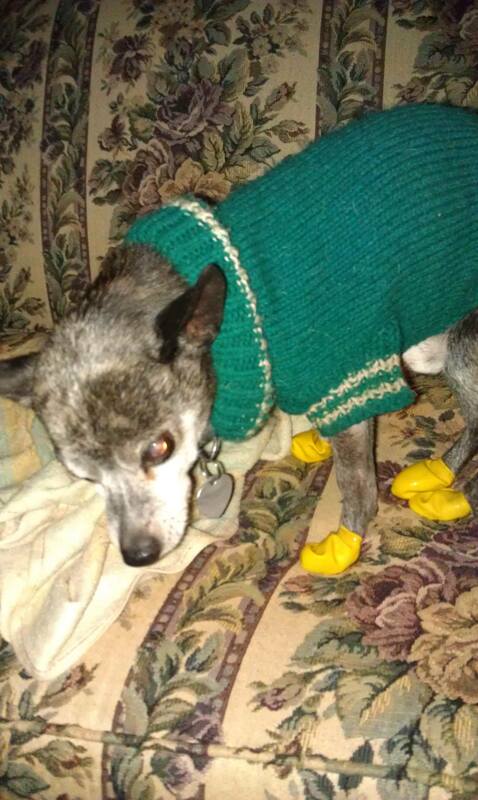 The best small doggy boots ever!!! The rubber balloon like boots were a real challenge in the beginning but with practice it became much easier. The rubber gives him traction on the ice and they stop the ice and snow from driving up between is paws. It’s not the warmth dogs look for in a boot, it’s the protection from snow, ice and salt that counts. *Gizmo hates winter but is a real trooper when it’s time to dress up for the bitter cold temps.